(Simon) I got the bug early. My first literary work, The Magic Skates was picked up by my elementary teacher. I was six. First gold star! That was it. Hooked. 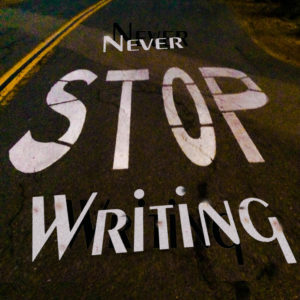 The problem that accosted me later was that although writing fiction, especially fantasy, turned out to be my lifelong calling, the realization also struck me that I wasn’t very good at it. So somewhere between age six and fifty-one I broadened my writing abilities. I’ve written about a dozen books but I wouldn’t put any of them ‘out there’. I refer to them as my ‘growth phase’, which is a euphemism for working at sucking less. Mannethorn’s Key was a culmination of over a decade’s worth of work. I’m proud of it. It’s my first work that I feel has earned a place in the literary ether. (Simon) I am not so much cursed by the block as I am the Mull. I am a muller. I write a paragraph, analyze it, read it back, demand that it speaks to me, write a fake following paragraph just to coax it, and then delete it and rewrite it. I never have a block. In fact, at times, I’ll write 10,000 words in a single shot. My issue is that I will then spend four weeks mulling over it. (Simon) I love writing epic fantasy. For me, no other genre provides more firepower for my imagination or lets me fully immerse myself while writing. It delivers the palette to create a unique world that doesn’t limit the scope. As George R. R. Martin proved, it can be terribly dark, vulgar, violent and sexual while still world building. Besides, there’s a lot of mutants, vampires, zombies and dystopian futures out there, according the number of scribes chronicling such tales. Don’t get me wrong. Some of the best books produced this decade are in those sub-genres. I have read some brilliant works, and many are far beyond my writing and imaginative abilities. However, I believe there is still a place and a desire from many readers for the epic. I am also a huge fan of science fiction but I’m not that smart. To write really good sci-fi these days requires, in my humble view, a commanding grasp of physics and science. In fact, many of the best writers in the genre are brilliant physicists. When I’m not writing I’m hiking in the alpine, crooning in the basement while playing my guitars (badly), outside chopping wood, or building very questionable additions onto our house in the Rockies. (Simon) They do now! It’s funny. I’m the reverse of that, I guess. I’ve played the corporate game. I was a newspaper publisher and, for a while groomed for upper management with all the ‘perks’. I walked away. It was killing me both spiritually and physically. I’m a fortunate man because I had the choice to do so but it’s been a struggle nevertheless. I am both a musician and writer. That’s what I put ‘out there’. Yeah, I picked some real winner careers for making the big bucks but it is what I love. Friends and family have been incredibly supportive and believe in what I’m doing. (Kam) I’m thrilled you have a solid support team behind you. (Simon) Yeah, I’m with you on that one. There are so many amazing writers. However, I have my all-time favorites, no doubt. Stephen R. Donaldson was a genius with the Thomas Covenant series, really launching the dark, introspective side of fantasy. David Eddings has been a huge influence. Tolkien, well – we can just leave it there. Terry Brooks, Robin Hobb, Raymond Feist, Isaac Asimov, Piers Anthony, and I quite liked the Runelord series by David Farland. The first books of Robert Jordan and Terry Goodkind were stellar but then I just got bogged down – or they did. Still, they impacted my own writing, no doubt, even if it was just to remind me to treat the reader with respect and keep the story moving. (Simon) Wow. That’s a tough one. I would have to say the Belgariad series by David Eddings would make my dream list. However, it is so painful to watch great books get butchered by the movie industry. The first three LOTR’s were done reasonably well. I won’t talk about the Hobbit. Let’s not speak of Eragon. If it was done right, with a great screenwriter, it would top those that have preceded it. The most unsung face for a wizard has to be Tommy Lee Jones. He would make a perfect Belgarath! Maybe Mr. Ratcliffe could launch a new career as Garion?? (Kam) Eragon, I actually loved the movie. Never read the book but the movie wasn’t half-bad. (Simon) Ha! No, let’s be open and avoid any covert ops. I have two buns in the oven. The first, of course, is the sequel to Mannethorn’s Key, called Outworlder. I have the full plot of the trilogy laid out and have penned about a third of Book Two already. It’s slated for a winter, 2018 release. My other project is one that I am quite excited about, an urban fantasy entitled Gaia’s Assassin. It’s dark, a bit dystopian, but I feel it’s quite unique from the work we’re seeing in the genre. (Kam) Can’t wait to check them out! (Simon) Mannethorn’s Key is my debut work. You can find it on Smashwords, Amazon, iBooks, Kobo, Barnes & Noble, and in many fine bookstores. The book is out in both ebook and paperback editions. (Simon) I am always excited to hear from readers. They can contact me through my website , Facebook, Twitter, Goodreads, or at AllAuthor. (Simon) Remember the internet when the vision was about freedom and access? I know – I’m dating myself – but we are at that point again with literature. At our doorstep is the opportunity for a diverse voice unlike any time in our history. For the first time, you, the reader can access independent bloggers, reviewers and authors in a way that was unfathomable a decade ago. Keep it that way. Support new authors. Write a review, and buy your books from alternatives that support a free and open marketplace of ideas, not a monopoly that ends them. Sure, we don’t all have the marketing and editing resources of the big boys, but that’s why we have sites like this to help you discover the gems. Thank you for supporting indies like me, along with independent blog and review sites. There. That’s my plug. Thank you for reading! (Kam) And thank you for giving me and our lovely visitors the chance to get to know you a wee bit better. Also, I appreciate the opportunity to host you and this amazing, generous giveaway. 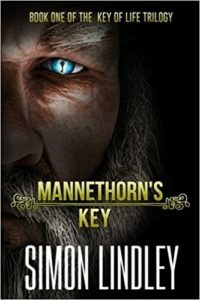 FYI: Any reader would be lucky to have Mannethorn’s Key so, if you want to add this epic fantasy novel to your library, stick around for more details! 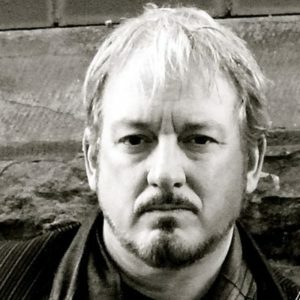 Ladies and Gents, I hope you enjoyed my interview with Simon Lindley. Now lets discuss the giveaway! Prize up for grabs — A KINDLE COPY of the Mannethorn’s Key: Book One of the Key of Life Trilogy. To enter the contest – Leave us a comment below. Say howdy, leave a smile/heart, or ask a question. One entry per person. International residents are welcomed to enter, too! The contest will end Friday at 11:59 p.m., central time. 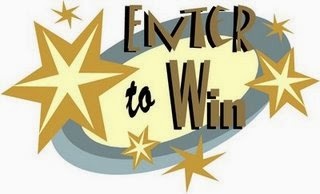 On Saturday, I will select a winner, post their name on a comment, and be in contact with him or her SO……. have your settings open to receive messages or follow the comment thread and be ready to give me or Simon your kindle email address. TWO WORLDS. TWO SPIRITS. ONE POWER. Algarth Willowbrow is about to gamble everything. His once-powerful Order is in ruins, and he faces an unwinnable battle to save his life and his people. In a last, desperate attempt, he lures his arch nemesis deep within his keep, hoping to utilize him and reclaim a long-hidden magic, powerful enough to save the world – or destroy it. The wind picked up with a sudden, icy bite. He smiled and ended his melody. The gust had not originated from the waning heat of the departed sun or the hills beyond. It was born from a Seether landing on the road ahead. Behind three of the wolf boars who had taken position directly in front of the cart’s path, dust and gravel churned up from the flaps of massive, leathery wings. The stranger saw nothing but the black silhouette of a two-legged beast towering twice the traveler’s height. It blotted out the early stars; the only discerning features were its yellow phantom eyes, now assessing its prey. The wolf boars were ecstatic. A meal was coming sooner than expected, but only the three who stood ahead of him on Ferryman’s Way advanced. The wizard stood silent with eyes focused on the road ahead, as if his enemies were invisible. Slowly, cautiously, the entire pack tightened its noose. The three forward gained courage as they sensed no meaningful defense from their prey, saliva dripping from their muzzles. The stranger remained motionless, the only tension was in his fingers, taut about his staff, knuckles white. “Ghaawww!” The wolf boars attacked, lunging for the quick kill, one for the stranger’s neck, the other for the legs, with the last to rip open his abdomen and feast on his guts. The wizard’s arms rose just as the wolf boars leapt – and the air cracked. A soundless percussion reverberated out from the crowd of odd company on Ferryman’s Way. The attackers momentarily hovered in the air, frozen in the eerie wave of dark power. The remaining wolf boars looked on in confusion and fear, but they too were frozen in the vile energy. The ground underfoot and surrounding fields along the roadway trembled, and the boulders in the fields glowed with a fiery tinge as if ignited to life. A second passed, and the night awoke anew, the spell over. Three wolf boars lay dead only inches from the traveler’s bare feet; their bodies twitching and bellies split open, blood spilling from their wounds in great black pools, reflecting the resplendent stars above. The traveler under the cowl grasped the staff and the harness of his wagon but remained ominously silent. “You wield the Han, my Lord. Yesss,” it replied. “Yesss, Lord. Do you ssseek the power over the Zzzhin puppetsss? It showzz uzzz all the ancient HanZzzhinSsshasss. I keep it ssssafe.” From a pouch strapped to the creature’s barreled chest it produced a scroll in its clawed grasp. He raised his arms, staff held high overhead, and to the dismay of the remaining pack, the wizard let loose the dark Han magic upon the night once more. With a look of satisfaction, the wizard forever released the wide-eyed Seether and his wolf boars of their duties. I think you’ll enjoy it. Good luck to you! It looks like something I’d enjoy reading. Then I hope you win. Good luck! Did you write as a kid? Just wondering if you used names of childhood friends names in your books. . Sorry for the late reply! We had some tiny technical glitches with replies. My first epic was The Magic Skates, which I released at the age of six. My publisher – Mr. Parsons, my first-grade teacher – gave me a gold star but made no effort to land me an agent. I’ve been banging on typewriters, then keyboards ever since. No names carried over from my life into the book. They are all fictional in nature. However, on the topic of names, some readers have found the use of foreign place names and people difficult to pronounce or remember. It’s the one thing that’s held me back from some five stars but it was necessary for the trilogy. I lost a lot of sleep over keeping them in the final manuscript. However, having the reader experience this along with the characters plays an important role as far as certain aspects of the plot. Still, rather than having readers going back and forth to the glossary, I am working with Amazon X-Ray to provide instant access to definitions, etc for every odd word. It is forthcoming in a Kindle update. So, on names, when some seem ridiculous, know that none of them came from childhood school chums, and no, I haven’t completely lost my mind (only partially). Hang in there and you’ll be rewarded in Book Two for tolerating me! I’m sure you’ll like it. Thank you for stopping by and good luck! I’m interested in learning the answer to this one as well. Thanks for the question. We had some technical glitches with replies so my apologies for the late response! That’s a tough one. I find that as I write, characters take on form and soon dictate what I can type, I no more than the lowly scribe! I love it when this happens, a feeling that I am tapping into the life of a character in a very personal way. The one character who did this more than the others was Munjeg, a nod to Tolkien’s Gollum. However, he is his own person, multi-dimensional, and he flowed into the story with ease. His softness and likeability while remaining vile and abhorrent on many other levels gave me so much to work with. His physical traits also created a new dynamic for the trope and I love that he’s both a giant (mud trolls are very large), and yet frog-like, gangling appendages, and clumsy. Glad to hear you are working with X-Ray. The few bools I’ve read on the Kindle that make good use of it really benefit from it. Looking forward to reading your writing. Thank you so much for popping by. I love meeting new people and I know Simon appreciates every visitor/comment. Good luck and don’t be a stranger! Thank you for your feedback and support, Kyle! Howdy, Tianna, and thank you for entering the giveaway. Good luck to you! DAKOTA: Congrats, YOU ARE OUR LUCKY WINNER!! Watch your inbox to claim your prize.